Cold Weld Greensleeve Tire Bakeries: be there or wonder what is this stuff in their agenda. Tuesday, February 17, 2015 5:30 p.m. This entry was posted in Economy, Government, VLCIA and tagged 17 February 2015, Allan Ricketts, Andrea Schruijer, Attorney, CPA, Economy, Executive Director, Georgia, Government, J. Stephen Gupton, Jerry Jennett, John S. Quarterman, LAKE, Lowndes Area Knowledge Exchange, Lowndes County, Lu Williams, Mary Gooding, Operations Manager, Project Manager, Public Relations & Marketing Manager, Regular Meeting, Roy Copeland, S. Meghan Duke, Terri Lupo, Tom Call Chairman, Tom Davis, Valdosta, Valdosta-Lowndes Development Authority, VLCDA, VLCIA, VLDA on February 16, 2015 by John S. Quarterman. And a City Council Retreat Presentation. Tuesday, January 20, 2015 5:30 p.m. This entry was posted in Economy, Government, VLCIA and tagged 20 January 2015, Allan Ricketts, Andrea Schruijer, Attorney, CPA, Economy, Executive Director, Georgia, Government, J. Stephen Gupton, Jerry Jennett, John S. Quarterman, LAKE, Lowndes Area Knowledge Exchange, Lowndes County, Lu Williams, Mary Gooding, Operations Manager, Project Manager, Public Relations & Marketing Manager, Regular Meeting, Roy Copeland, S. Meghan Duke, Terri Lupo, Tom Call Chairman, Tom Davis, Valdosta, Valdosta-Lowndes Development Authority, VLCDA, VLCIA, VLDA on January 16, 2015 by John S. Quarterman. Looks like some of them have been (or are thinking of) going to an Area Development Conference & Forum, about Best Practices for Economic Development. Here’s the agenda. Tuesday, November 18, 2014 5:30 p.m. This entry was posted in Economy, Government, VLCIA and tagged 18 November 2014, Allan Ricketts, Andrea Schruijer, Attorney, CPA, Economy, Executive Director, Georgia, Government, Gretchen Quarterman, J. Stephen Gupton, Jerry Jennett, LAKE, Lowndes Area Knowledge Exchange, Lowndes County, Lu Williams, Mary Gooding, Operations Manager, Project Manager, Public Relations & Marketing Manager, Regular Meeting, Roy Copeland, S. Meghan Duke, Terri Lupo, Tom Call Chairman, Tom Davis, Valdosta, Valdosta-Lowndes Development Authority, VLCDA, VLCIA, VLDA on November 17, 2014 by John S. Quarterman. They’re hiring an Existing Industry Coordinator to start in October or November. They granted an easement on Madison Highway to Valdosta for a rechlorination booster station. No citizens spoke at the 21 October 2014 Valdosta-Lowndes County Development Authority meeting. Nobody there but Greg Justice of Regal Marine (presented a framed copy of the VDT article about his company), VDT reporter Stuart Taylor (here’s his report), and Gretchen (who took these videos). Roy Copeland wanted to know about numbers of new jobs and reporting to the community. Here’s the agenda, and below are the videos of events as they transpired. This entry was posted in Economy, Government, VLCIA, Water and tagged 21 October 2014, Allan Ricketts, Andrea Schruijer, Attorney, CPA, Economy, Executive Director, Georgia, Government, Gretchen Quarterman, J. Stephen Gupton, Jerry Jennett, John S. Quarterman, LAKE, Lowndes Area Knowledge Exchange, Lowndes County, Lu Williams, Mary Gooding, Operations Manager, Project Manager, Public Relations & Marketing Manager, Regular Meeting, Roy Copeland, S. Meghan Duke, Terri Lupo, Tom Call Chairman, Tom Davis, Valdosta, Valdosta-Lowndes Development Authority, VLCDA, VLCIA, VLDA, Water on November 6, 2014 by John S. Quarterman. Here’s the agenda, and here are videos of the meeting as it proceeded. They meet again tonight at 5:30 PM. This entry was posted in Economy, Government, Hahira, Health Care, VLCIA and tagged 16 September 2014, Allan Ricketts, American Home Patient, Andrea Schruijer, Attorney, Bimbo Bakeries USA, Busby Hahira, Chairman, CPA, Economy, Executive Director, Express-Scripts, Fussell Tire & Service, Georgia, Government, Hahira, Health Care, J. Stephen Gupton, Jerry Jennett, John S. Quarterman, LAKE, LLC, Lowndes Area Knowledge Exchange, Lowndes County, Lu Williams, Mary Gooding, Operations Manager, Project Loaf, Project ManagerS. Meghan Duke, Public Relations & Marketing Manager, Regular Meeting, Roy W. Copeland, Terri Lupo, Tom Call, Tom Davis, Valdosta, Valdosta-Lowndes County Development Authority, Vice-Chairman, VLCDA, VLCIA on October 21, 2014 by John S. Quarterman. Local candidates for office who think the Development Authority should promote existing local industry should maybe look at Existing Industry Spotlight, Existing Industry —Allan Ricketts, and Existing Industry Coordinator position to be posted in tonight’s agenda. Tuesday, October 21, 2014 5:30 p.m. This entry was posted in Economy, Government, VLCIA and tagged 21 October 2014, Allan Ricketts, Andrea Schruijer, Attorney, CPA, Economy, Executive Director, Georgia, Government, J. Stephen Gupton, Jerry Jennett, John S. Quarterman, LAKE, Lowndes Area Knowledge Exchange, Lowndes County, Lu Williams, Mary Gooding, Operations Manager, Project Manager, Public Relations & Marketing Manager, Regular Meeting, Roy Copeland, S. Meghan Duke, Terri Lupo, Tom Call Chairman, Tom Davis, Valdosta, Valdosta-Lowndes Development Authority, VLCDA, VLCIA, VLDA on October 21, 2014 by John S. Quarterman. They (maybe) finally settled on their new name: Valdosta-Lowndes County Development Authority; see Minutes. Interesting discussion about Express Scripts, and some details about presenters at the next day’s Community Economic Development meeting. 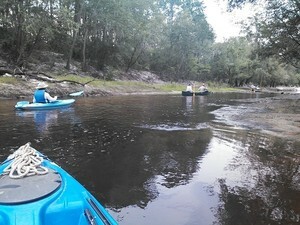 I talked about the Alapaha River Water Trail. And they are talking about spec[ulative] building, such as they liked when they saw it in Douglas and Valdosta Mayor Gayle liked in Vidalia. Here’s the agenda, with a few notes, and links to the videos. Tuesday, August 19, 2014 5:30 p.m. This entry was posted in Agriculture, Community, Economy, Education, Georgia Power, Government, VLCIA, VSU, WWALS and tagged 19 August 2014, Agriculture, Allan Ricketts, Andrea Schruijer, Attorney, Chairman, Community, CPA, Economy, Executive Director, Fussell Tire, Georgia, Georgia Power, Government, J. Stephen Gupton, Jerry Jennett, John S. Quarterman, LAKE, Lowndes Area Knowledge Exchange, Lowndes County, Lu Williams, Mary Gooding, Operations Manager, Project Manager, Public Relations & Marketing Manager, Regular Meeting, Roy Copeland, S. Meghan Duke, Terri Lupo, Tom Call, Tom Davis, Valdosta, Valdosta North Rotary, Valdosta-Lowndes County Development Authority, Valdosta-Lowndes County Industrial Authority, Valdosta-Lowndes Development Authority, VLCDA, VLCIA, VLDA on September 18, 2014 by John S. Quarterman. The big item tonight is the update on their local economic development meeting last month, plus election of officers and the usual project and marketing updates. Here’s the agenda, with a couple of formatting typos fixed (not sure I got it right, either). Tuesday, September 16, 2014 5:30 p.m. This entry was posted in Economy, Government, Hahira, Health Care, VLCIA and tagged 16 September 2014, Allan Ricketts, American Home Patient, Andrea Schruijer, Attorney, Bimbo Bakeries USA, Busby Hahira, Chairman, CPA, Economy, Executive Director, Express-Scripts, Fussell Tire & Service, Georgia, Government, Hahira, Health Care, J. Stephen Gupton, Jerry Jennett, John S. Quarterman, LAKE, LLC, Lowndes Area Knowledge Exchange, Lowndes County, Lu Williams, Mary Gooding, Operations Manager, Project Loaf, Project ManagerS. Meghan Duke, Public Relations & Marketing Manager, Regular Meeting, Roy W. Copeland, Terri Lupo, Tom Call, Tom Davis, Valdosta, Valdosta-Lowndes County Development Authority, Vice-Chairman, VLCDA, VLCIA on September 16, 2014 by John S. Quarterman. I’ll give them an A for effort, including branching out: from tires to agribusiness this month, and Valdosta North Rotary today, too. That Community Ecomomic Developmeent Meeting is still on for tomorrow, at the Conference Center. This entry was posted in Agriculture, Community, Economy, Georgia Power, Government, VLCIA and tagged 19 August 2014, Agriculture, Allan Ricketts, Andrea Schruijer, Attorney, Chairman, Community, CPA, Economy, Executive Director, Fussell Tire, Georgia, Georgia Power, Government, J. Stephen Gupton, Jerry Jennett, John S. Quarterman, LAKE, Lowndes Area Knowledge Exchange, Lowndes County, Lu Williams, Mary Gooding, Operations Manager, Project Manager, Public Relations & Marketing Manager, Regular Meeting, Roy Copeland, S. Meghan Duke, Terri Lupo, Tom Call, Tom Davis, Valdosta, Valdosta North Rotary, Valdosta-Lowndes County Industrial Authority, VLCIA on August 19, 2014 by John S. Quarterman.